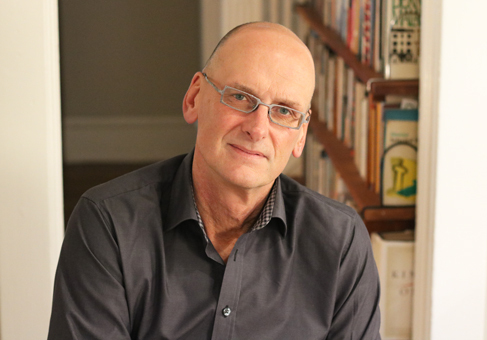 David Bergen graduated from The University of Winnipeg in 1985 with a Bachelor of Education degree, and returned to his alma mater in 2010 as the Carol Shields Writer in Residence. Bergen is an award-winning author of nine novels and a collection of short stories. A Year of Lesser was a New York Times Notable Book, The Case of Lena S. was a finalist for the Governor General's Award for Fiction, and The Age of Hope was a finalist for Canada Reads. In 2005, Bergen won the Giller Prize for The Time in Between. His sixth novel, The Matter with Morris, was shortlisted for the Giller Prize in 2010, won the Carol Shields Winnipeg Book Award and the Margaret Laurence Award for Fiction, and was shortlisted for the International IMPAC Dublin Literary Award. His most recent novel, Stranger, was published in September 2016. “(David) is special because he is an artist. He doesn't let a sentence go until he's got it — he's a beautiful stylist. He cares about language, he cares about character, he's a true craftsman — a writer's writer” – Dr. Neil Besner, UWinnipeg Provost and Vice-President, Academic.